The best by a mile! Used in conjunction with 50mm Schwalbe Kojak, and 63mm Compass Rat Trap Pass,vwhen not running either tubeless. 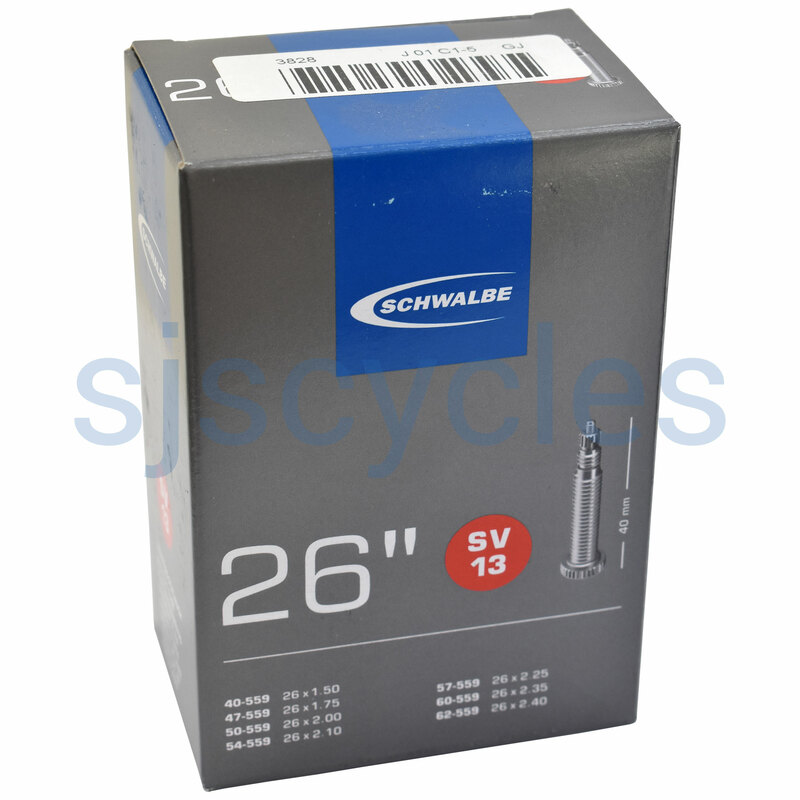 Schwalbe Tubes offer the best selection of sizes, Quality, Value, and Longevity of any tubes I have ever used before. They stay up for longer, and have no problems with valve stem breakage as I have suffered with some continental tubes before. They store well (for many years) without signs of aging. I would not use any other brand! I run Pasela Tourguard 1.75 and Marathon 2.00 tyres and this tube is fine with both on Andra 30 rims. Good quality and reasonably priced. The butyl rubber does indeed retain the air pressure well. A standard for cyclists!